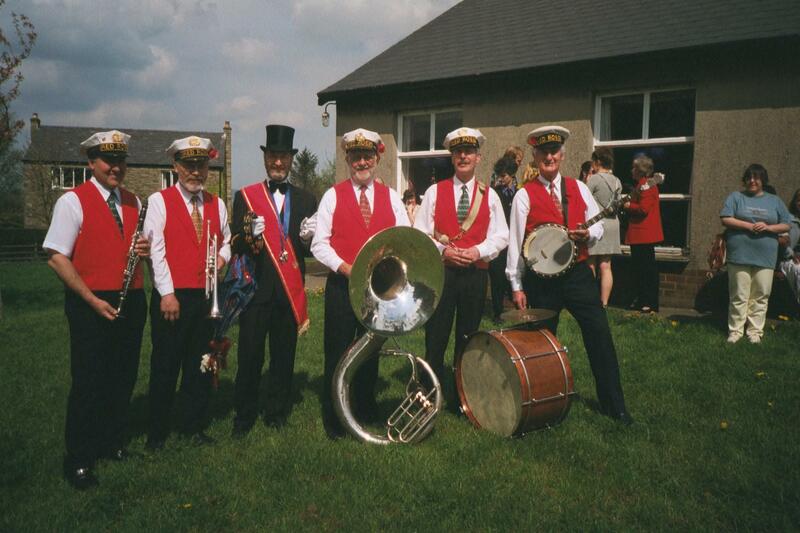 NEW ORLEANS JAZZ IN NORTH WEST ENGLAND FOR WEDDINGS, SHOP OPENINGS, FESTIVALS, FUNERALS ETC. 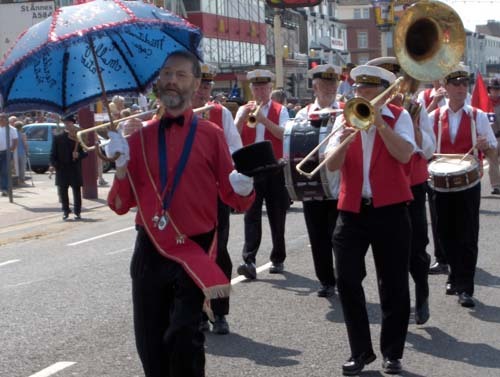 The Red Rose Brass Band and the associated Silver Bell Band are available for all sorts of engagements throughout the North West of England. They can be tempted to travel further but prefer to stay within a days travel from home. Festivals, galas, field days, birthdays, weddings, christenings, funerals, shop openings and just about anything else you might suggest. A CD of the Red Rose Band "Beside the Seaside" and several CDs of the Silver Bell Band can be obtained from the above address priced at �6 including postage. For recent testimonials click here. For reports on visit in 2004 to New Orleans click here. For pictures taken by Bazzer in New Orleans click here. Jazz On The Internet : A site dedicated to Jazz in North West England. Preston Arts Association : A site dedicated to The Arts in Preston and District. To find out about the Community Arts Scene in Fylde Area click here. click here. : For information about early bands in Preston.